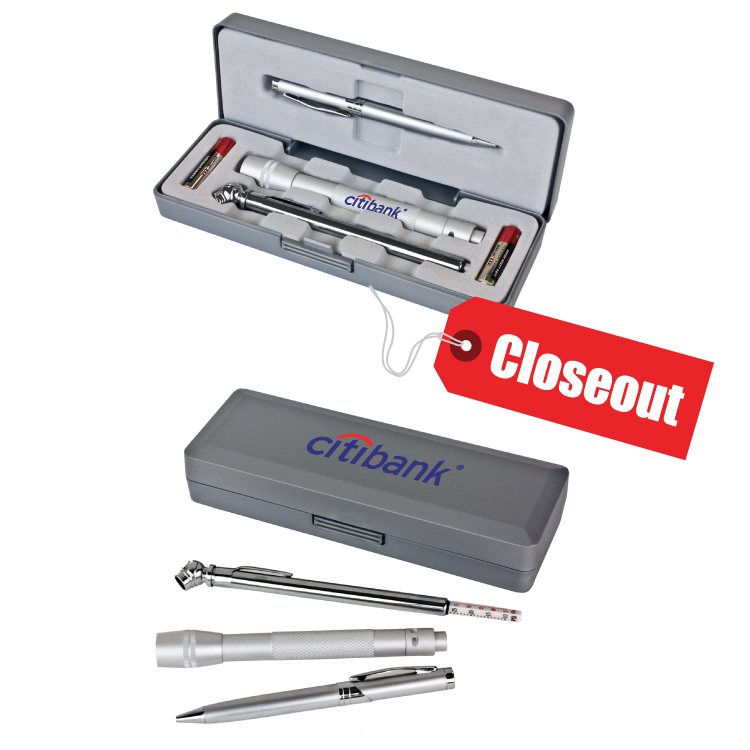 Tire pressure gauge, metal flashlight, and elegant pen with chrome accents. Comes with a stylish carrying case. Flashlight runs on two "AAA" batteries (included). 3" x 8" x 1 1/4"
Case: 1 1/2" x 3" Pen: 1/4" x 1"Tire Gauge:5/16" x 1 1/2" Flashlight: 3/8" x 1 1/2"